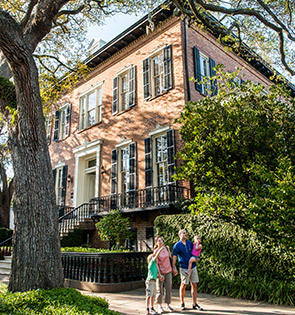 Be immersed in the heart and soul of Savannah. Whether you're taking in the skyline from your private balcony, checking out our one-of-a-kind art gallery, or joining a Sip & Stroll, your DeSoto experience is guaranteed to make you feel like a local. 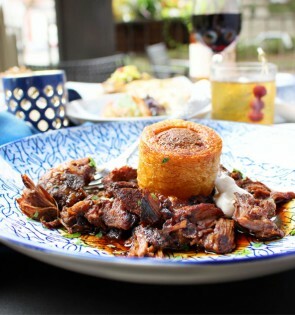 Sip an early morning cafe au lait at Buffalo Bayou, savor fresh Southern cuisine at 1540 Room, raise a toast to modern mixology at Edgar’s Proof & Provision. No trip to Savannah is complete without dining at The DeSoto. 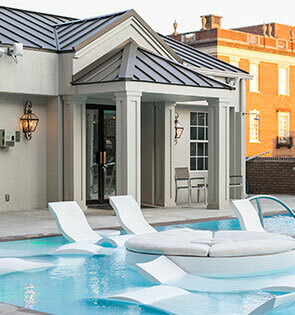 The DeSoto’s new pool terrace might be Savannah’s best kept secret. Think urban swimming pool, firepits and fountains, and a cabana bar serving hand-crafted cocktails. 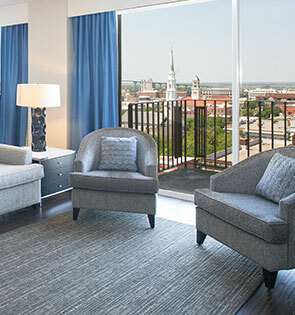 Our 246 newly renovated guest rooms, many with private furnished balconies, offer unmatched views of Historic Savannah. Grab a to-go beer or glass of wine at Proof & Provision and meet us on the Back Porch for a walk through the Historic District with your Sotherly Host. You see, we’re not just hosts, we’re also storytellers who can’t wait to wax poetic on Savannah’s legend and lore. 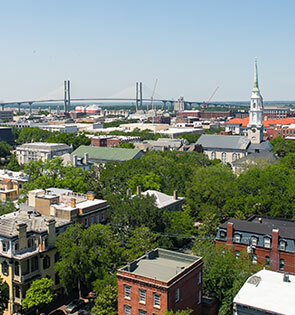 Experience Savannah like a local. Our Liberty Street address puts you in the heart of the city’s residential Historic District, a few blocks from the riverfront’s touristy bustle. 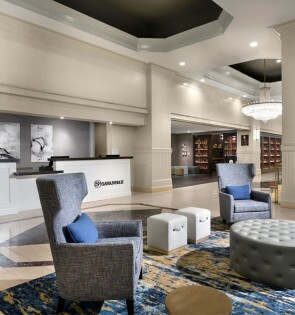 Our hotel lobby could easily pass for an art museum, thanks to a collection of permanent and rotating works by Savannah College of Art & Design artists. Browse while listening to our curated Sotherly Radio tunes.